These biscuits are perfect for lazy summer mornings. 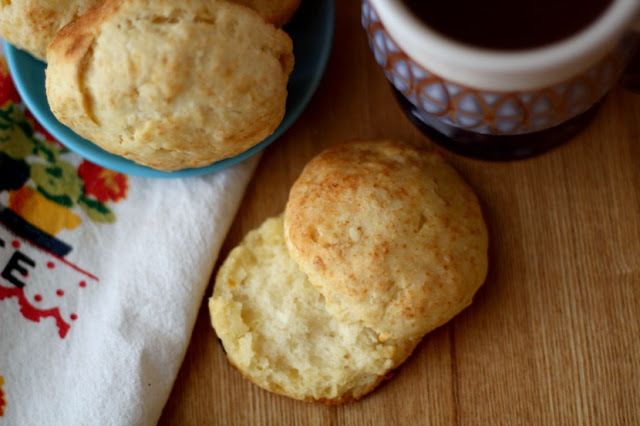 They're fluffy and buttery and great with a cup of hot black coffee. I made these using leftover Orange Agave Earth Balance that I had made for a party. The Earth Balance is citrusy and mildy sweet. 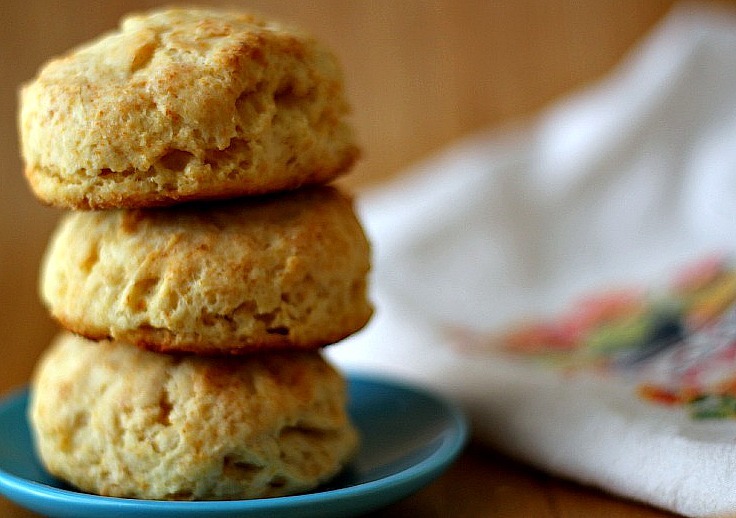 Perfect for biscuits! 2. With your fingers or a pastry cutter cut in the Earth Balance until they are the size of peas. 3. Take 1 tablespoon of milk out of the 3/4 cup and set aside. Pour the rest of the milk over the flour and stir gently with a spatula until it comes together. 4. Pour the dough onto a floured surface and gently knead it a few times until it's not super sticky. Roll it out to 3/4" thick and cut out your biscuits. Repeat until you're out of dough. 5. Brush the biscuits with the remaining tablespoon of milk. Bake for 15 minutes until the tops are golden. 1. With a spatula, mix all of the ingredients together. Store the Earth Balance in a jar or other air tight container until you're ready to use it.